Marina beach is the beautiful beach of Chennai India and very popular among the tourists. It is the largest beach in Asia and second largest beach in the world. So now you can imagine how big it is :) . I visited to Chennai in last month for my office work, I was there for one week and had one full day to visit the beautiful places of Chennai. Me and my colleague decided to visit Marina beach, as it was just 3 km from my hotel, so it was very feasible us to visit that place. Decided to visit the beach in the evening, to enjoy the beautiful sunset of Chennai. Marina beach is very crowded place in the evening, beach was crowded with people and various food stalls like chat ,ice-cream and Pakoda's. Dont miss the various types pakoda's on beach specially Banana Pakoda's which was so yummy. Due to crowd on the beach we have decided to to go to the other side of beach where crowd will be less, so we can enjoy the beauty of beach. Luckily Chennai's weather was pleasant in the evening, water was clear and blue plus the golden sand of the beach enhances the beauty of Marina beach. We were sitting there for more than 2 hours and staring the sheer beauty of Marina Beach. 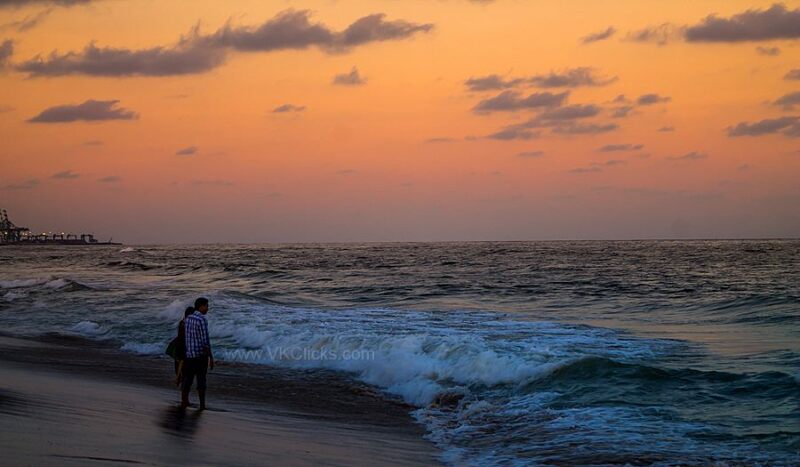 The Marina beach is the place you shouldn't miss whenever you visit the Chennai India. That is a beautiful capture of the Marina Beach. I am not too fond of it but this picture makes me want to visit it nonetheless.